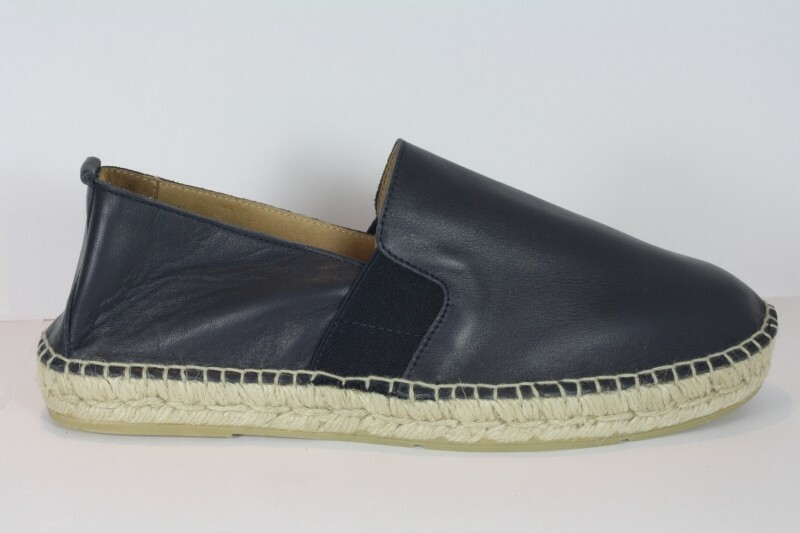 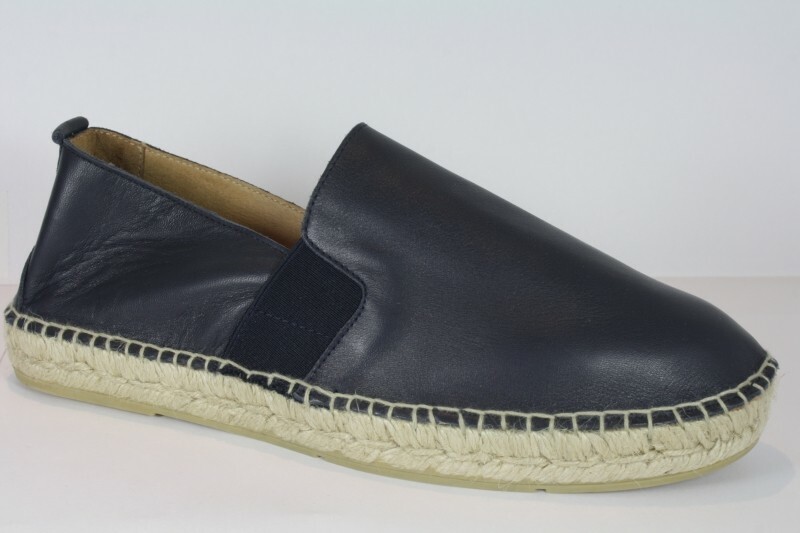 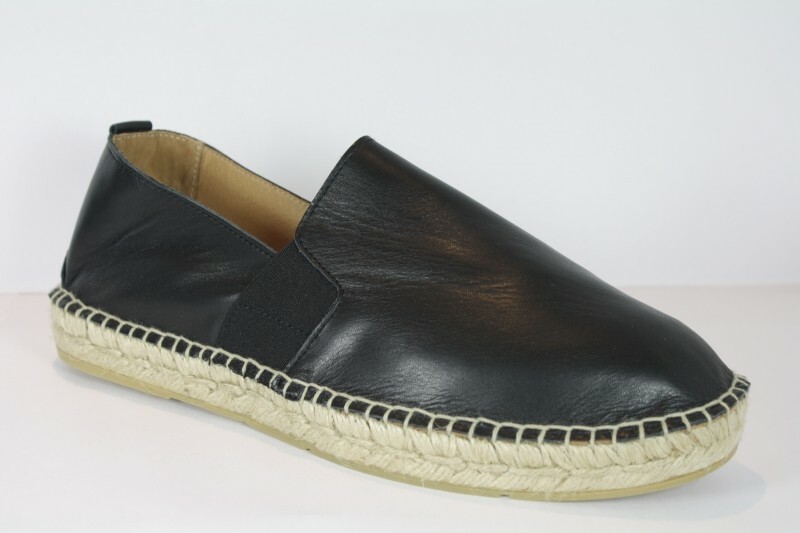 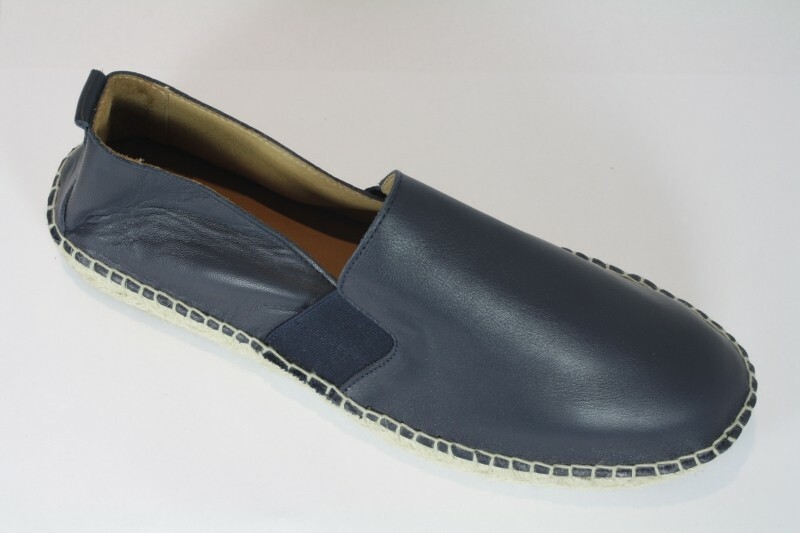 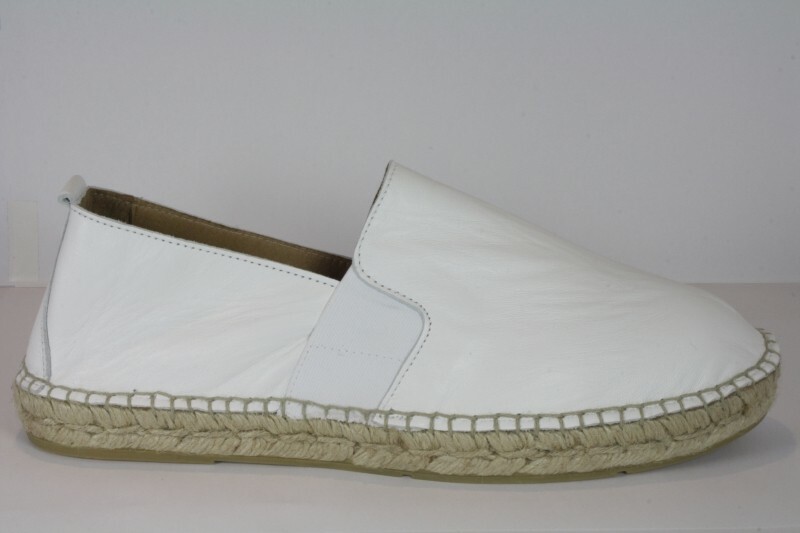 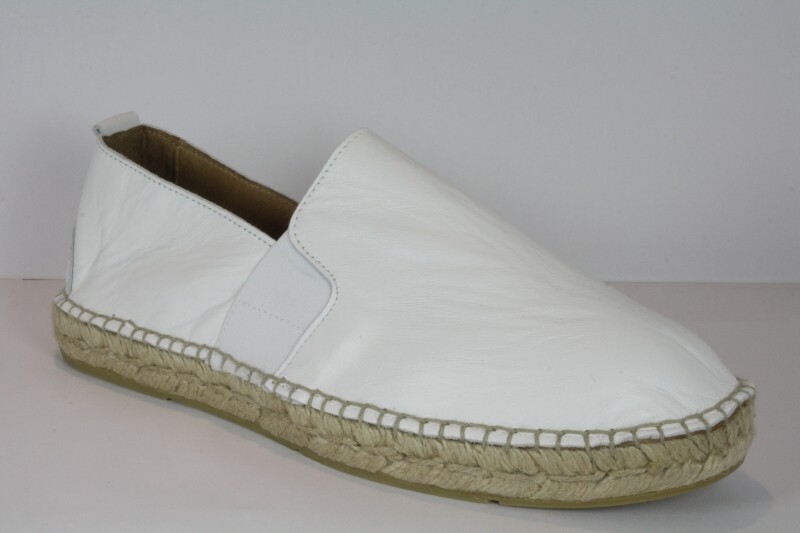 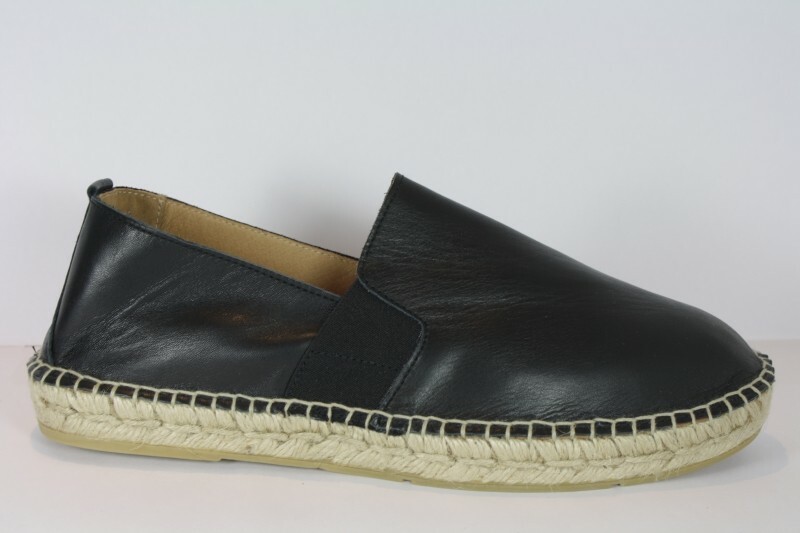 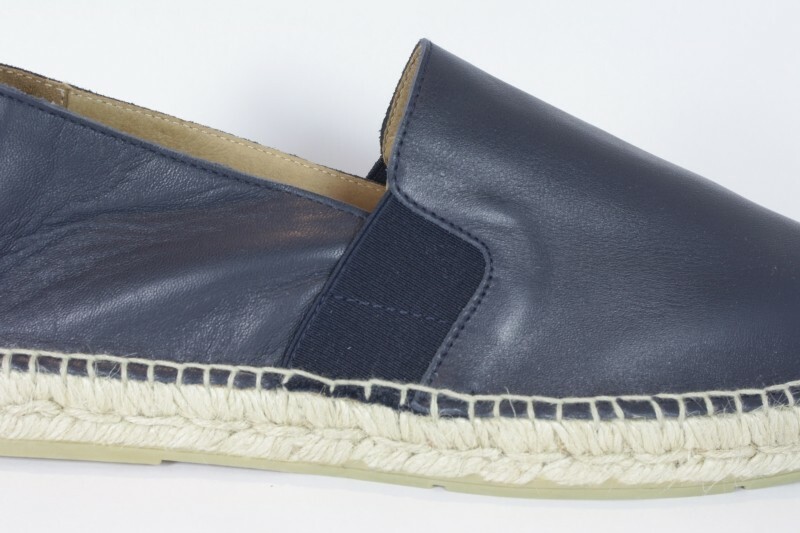 Slip on espadrille with side elastics and comfortable cushioned ankles. 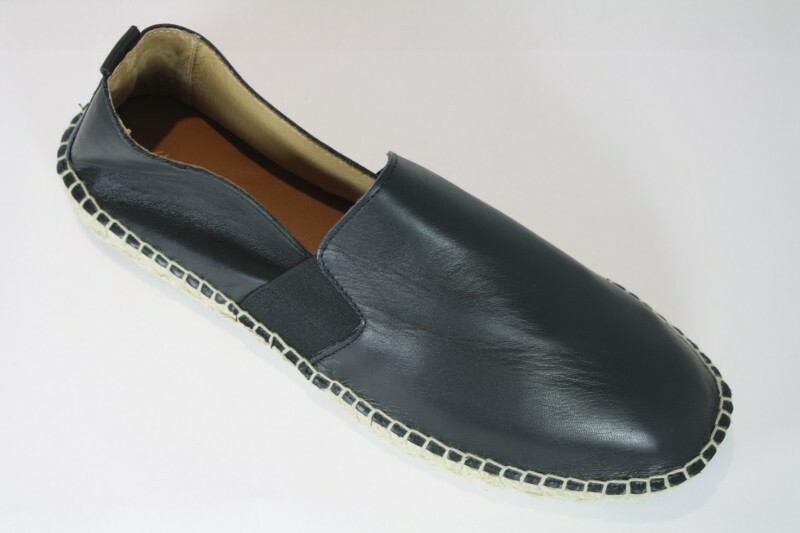 Available here in veal leather. 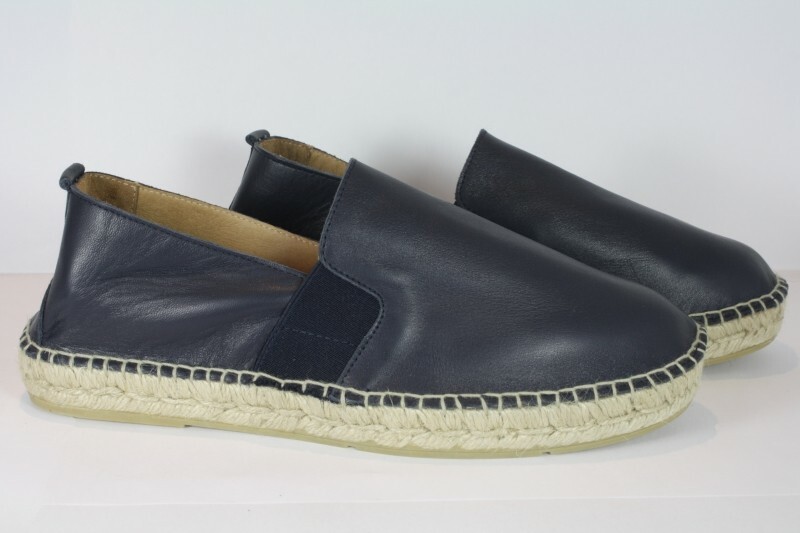 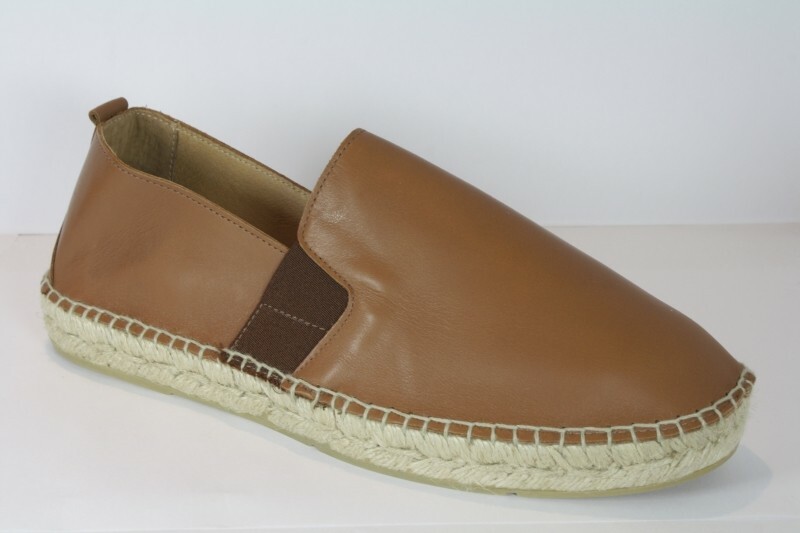 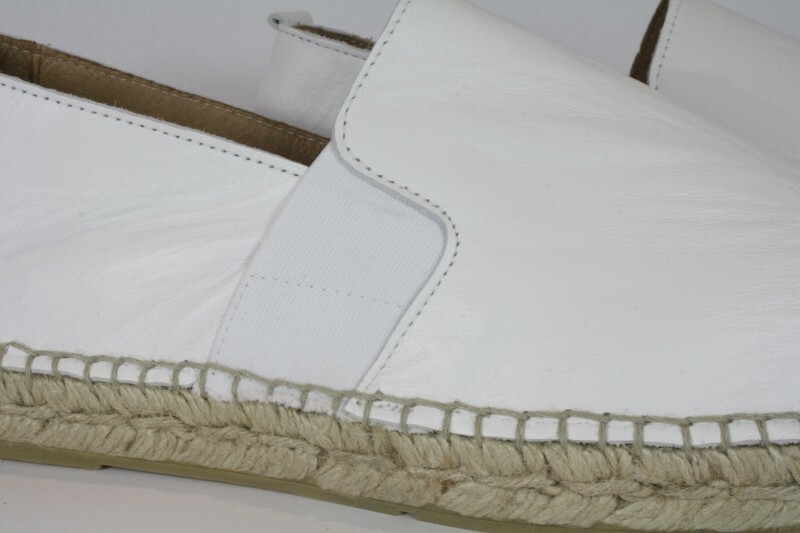 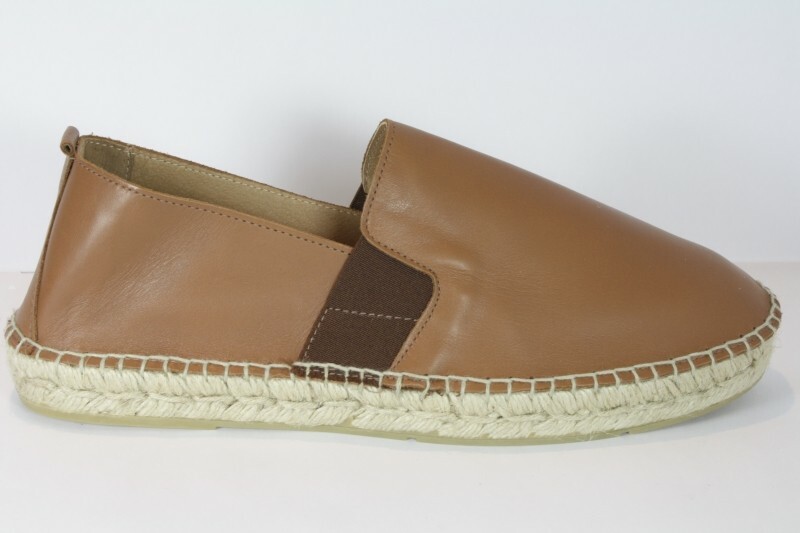 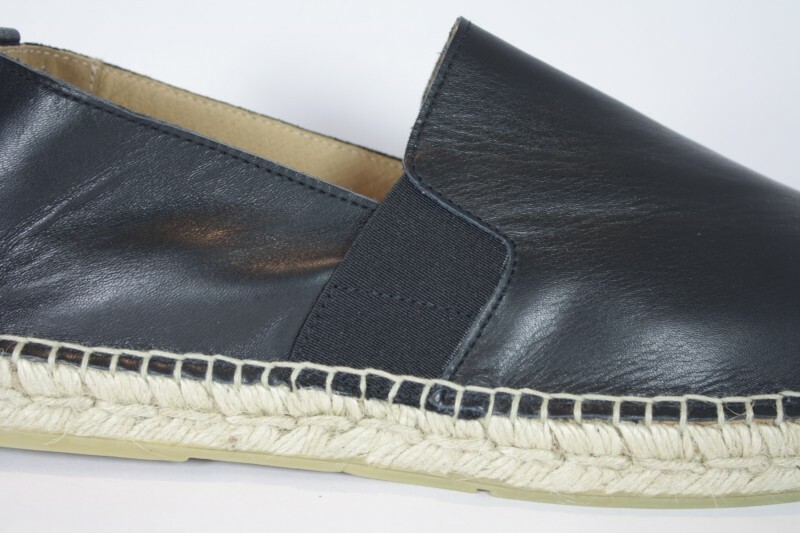 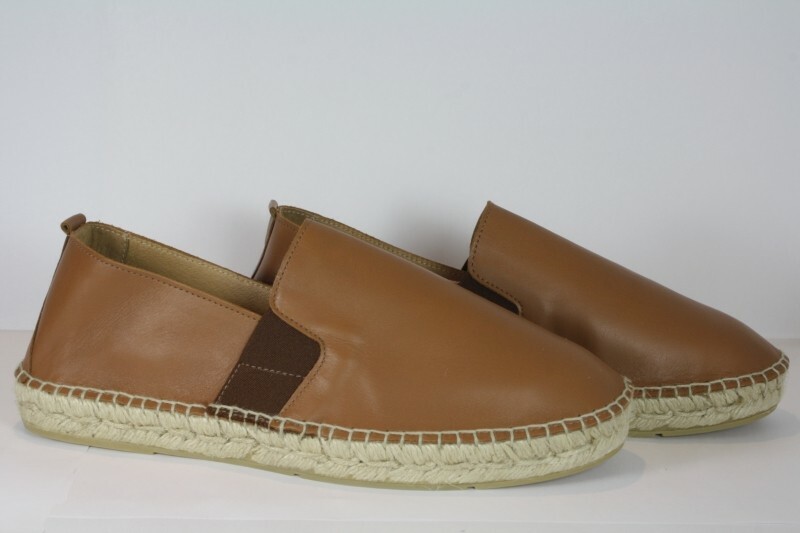 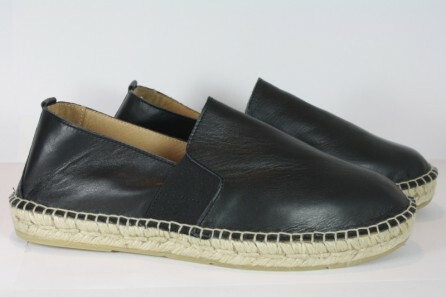 Veal leather upper hand stitched to jute espadrille sole with full rubber coating on bottom.